Toon's Tunes : Crowdfunding, prereleases, where it all began... and where it's going next. Marillion pre-order begins today! Crowdfunding, prereleases, where it all began... and where it's going next. Marillion pre-order begins today! You know how so many musicians these days are offering pre-orders to fans, funding their releases and enabling sales of music direct to fans? I bet you have a few albums in your collection that you bought that way. Well... these guys started all that, back in 1997... yep that long ago. Today, Marillion launched the pre-order for "Marillion Album 18", with a planned release date of early 2016. 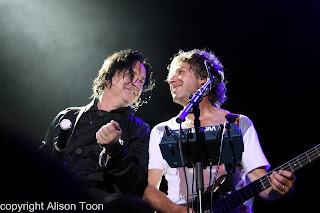 It looks like Marillion needed the Pledge epidural to give birthday to the 18th baby...I'd wish they toured Down Under.